Swift Cottage is a lovely three bedroom property overlooking the water within Broads Haven Marina. 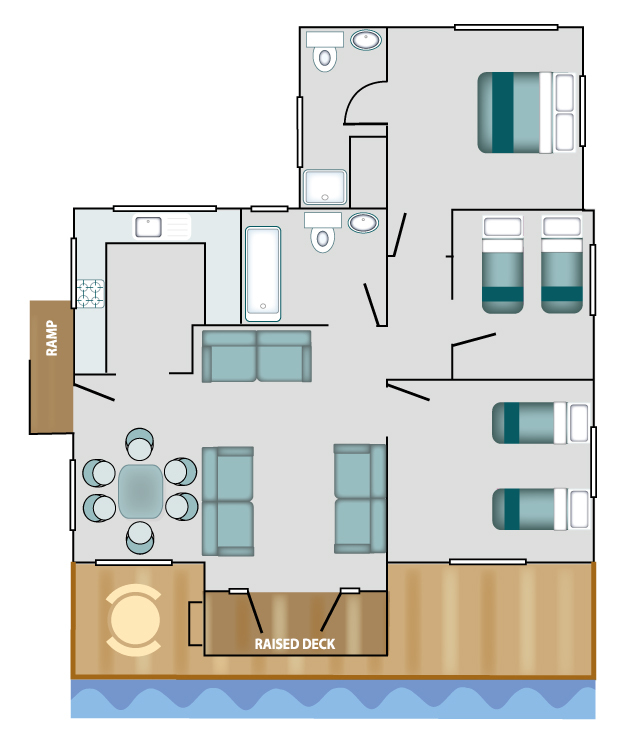 The large private deck has a table and chairs and can be accessed directly from the living room. Inside you will find a sociable open plan living/dining space with views of the water, three comfortable sofas, a dining table and TV/DVD. The bedrooms include one en-suite master bedroom with king sized bed and a further two bedrooms each with twin single beds. There is a large family bathroom with shower over bath and a fully equipped kitchen with dishwasher. Directly outside the property you will find parking for two cars and mooring space for one boat.